Oil India Limited (OIL), Duliajan Recruitment 2017- Junior Assistant & Senior Assistant posts: Oil India Recruitment 2017 Job alert, both fresher can get Oil India recruitment 2017 notification on recent recruitment 2017 opening. Recruitment notification from Oil India 2017 it contains both active and recently expired Job openings and recruitment notification from Oil India 2017. 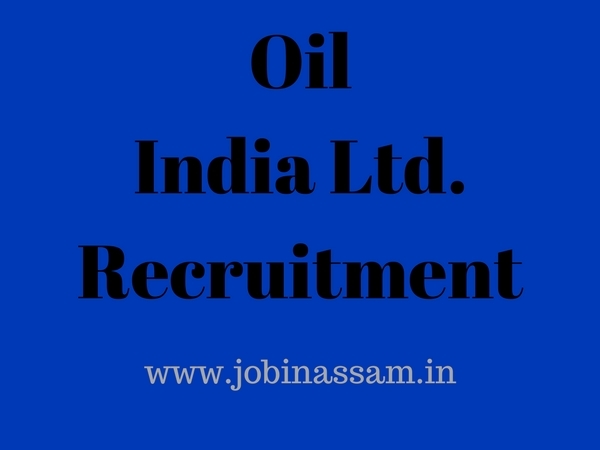 Oil India Limited invites application from eligible candidates from production and exploration area in districts of Dibrugarh, Tinsukia, and Charaideo of Assam and Changlang district of Arunachal Pradesh for recruitment to the mentioned posts. Please read this article till the end to know details eligibility criteria, application process and selection process for the Oil India Limited job. a) Passed Class 12th or equivalent in any stream from a Govt. Recognized Board/ University. b) Must have minimum 06 (six) months Diploma/ Certificate in Computer Application and should be fully conversant with MS Word, MS Exel, MS PowerPoint, etc. Proficiency in computers with minimum typing speed of 30 (thirty) words per minute. c) Working Experience in Computer. a) Must be a graduate from a Govt. Recognized University with at least 50% marks in Assamese as a major subject as well as English as one of the elective subjects in pass course. Prepare yourself for Oil India Recruitment with Objective General Knowledge. There is so much happening around the world all the time that it becomes difficult for people to keep abreast with all the latest developments around the globe. So, people usually prefer a single source for their general knowledge needs.